Orlando would have been great if it were 10 degrees cooler. Blue sky and white clouds make for a good picture but I definitely prefer dark skies if it means a less oily skin and less frizzy hair. I paid about 800 USD in all for my domestic flight there, my theme park admission tickets,my car rides to airport and my hotel which somehow reminds me of a Bintan resort. I am not that keen on theme parks and frankly speaking going to a different theme park everyday for 5 consecutive days would tire me to death. Plus theme park tics are extremely expensive. 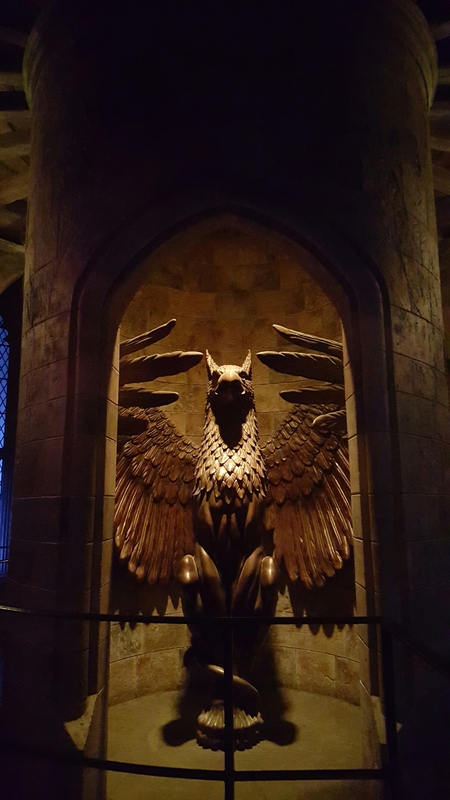 So I opted for a Harry Potter vacation package which included a 3 day park to park admission to both Islands of Adventure and Universal Studios that have Harry Potter theme parks. It comes with 2 free breakfasts in Leaky Cauldron and Hog’s Head and a free Harry Potter green screen video worth about 80 dollars. The fact that I have a 3 day admission ticket also means that I have more flexibility in my time and could opt to go somewhere else in the afternoon instead of pressuring myself to finish all the rides within one day. So all in all i think it is a pretty good deal! 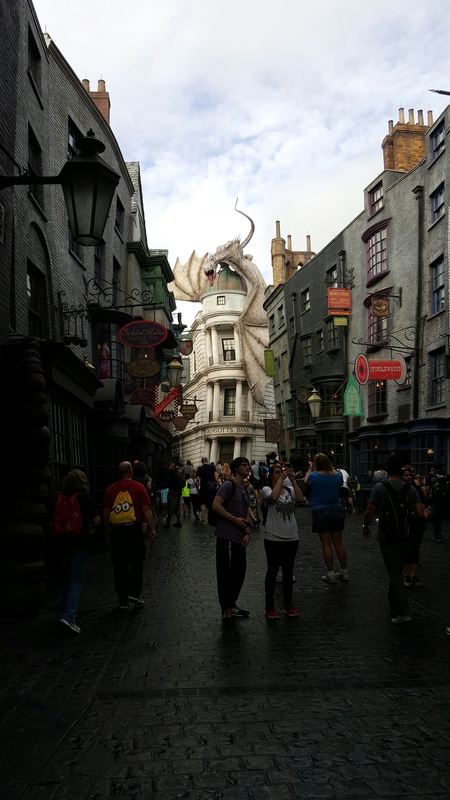 If not for the Harry Potter theme parks in Universal Studio, i would have gotten bored quite easily as the rides get old after a while. But thankfully the Harry Potter theme parks live up to my expectations as a Harry Potter fan and till this date, I’m still very gleeful about having bought my Harry Potter robes on Amazon(at a fraction of the price sold in the theme park)prior my trip so that I could wear them straight in the theme park. The backdrops are all so beautiful and real, such a well designed make-believe world that it is a shame if I were to appear in tshirt and shorts in front of a majestic castle. 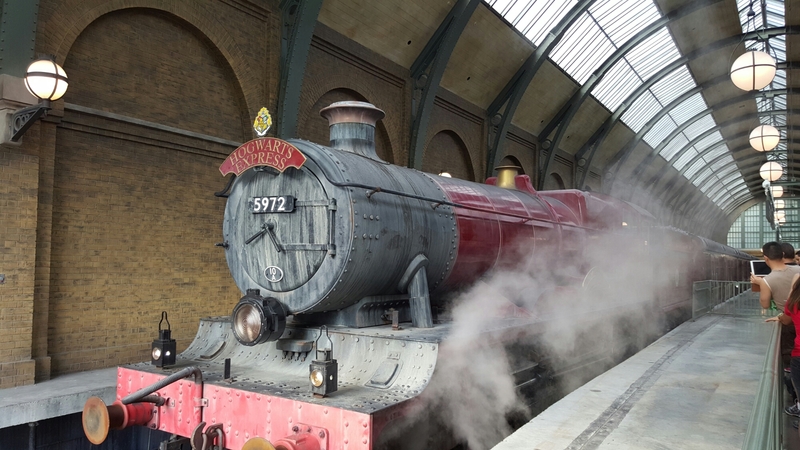 I think the best thing about coming to Harry Potter theme park is just to savour the experience of stepping into a magical world, having pictures taken, not so much of the rides. Though I have to say the forbidden ride was the best ride in the theme parks Ive visited so far. It feels very much like virtual reality with the 3d images in front of my eyes,while I’m on the jerky ride that mirrors the movement on the screen. The Hogwarts train ride was fantastic! It could see that a lot of effort and design really went into making all the props and rides as authentic as possible. During the train ride, there is a fake window screen that shows images of normal streets slowly changing to the route towards Hogwarts just like how Harry Potter first boarded the train to Hogwarts. In between, there were shadows descending outside my train door that sort of signifies dementors descending and voices of Hermione, Ron etc. All in all, it is an experience very similar to what you read in the book. 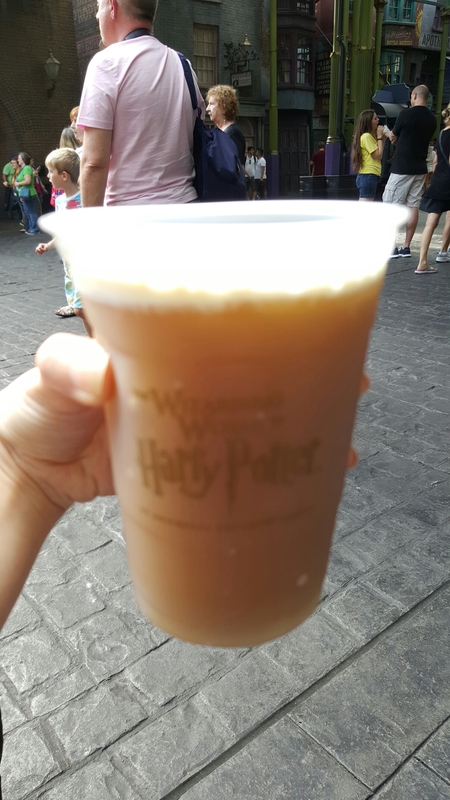 Also tried out the legendary butterbeer which was sweet and had a caramel-like taste. It is not exactly a thirst-quencher but at least ive tried it. 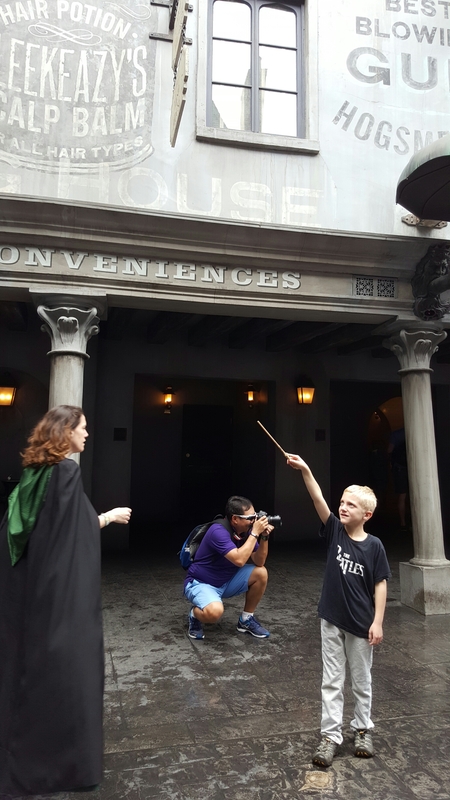 It’s very fun to see kids and adults alike trying out their interactive wands and”casting spells” in the open air due to smart instructions at selected spots that allow the wand bearers to seemingly “create magic” such as causing the water to spurt out or objects to move.